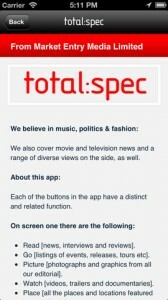 total:spec is an iPhone app developed by Market Entry Media Limited. 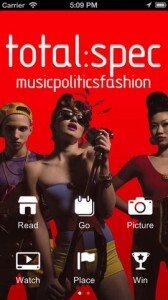 If you want a gorgeous-looking app that will keep your fingers on the pulse of what’s hot, then this is the app for you. 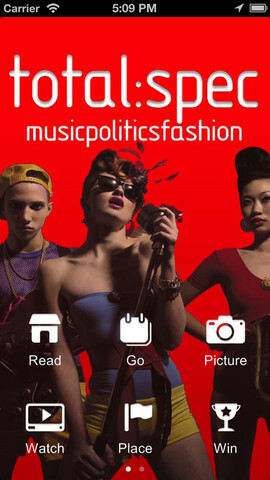 Similar to apps like Flipboard, total:spec offers up-to-the-minute news from the world of fashion, as well as news about music, politics, movies, TV, and more. It’s the ideal app for anyone who can’t afford to be out of the loop when it comes to trends, pop culture, and entertainment news. 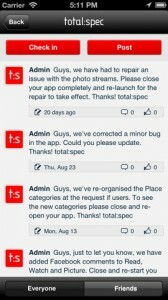 Unlike Flipboard, which curates content based on top Twitter, Tumblr, and Facebook accounts that relate to your interests, total:spec is organized a bit differently. When you open the app, you’ll be presented with a set of buttons, which include Read, Go, Picture, Watch, Place. Read is what you tap if you’re looking for articles, in-depth reviews, or engrossing interviews. Go curates content related to things you can, well, GO to: concerts, events, and the like. Picture curates, surprise, surprise, photos, while Watch collates all kinds of video-related content. I love the idea of curating content based on what kind of reading or browsing you’re in the mood for. So often, at the end of the day, I skip around in my feeds because I just want to look at photos. It’s smart to organize content in a way that reflects the likely attention span of the consumer. 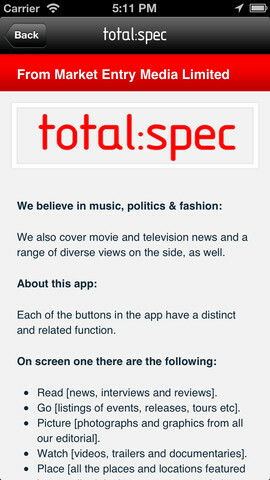 total:spec is free to download, and free for the first month you use it. After that, however, you will need to subscribe via iTunes for additional access. One month is 99 cents, 3 months is $2.99, and 6 months will set you back $5.99. 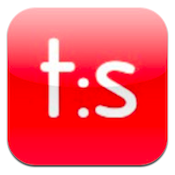 If you want to stay ahead of the curve, or are trying desperately to stay current, total:spec’s awesome app is a content delivery system that’s sure to make you the coolest person in your social circle. Give it a spin for a month, and I’m sure you’ll agree. 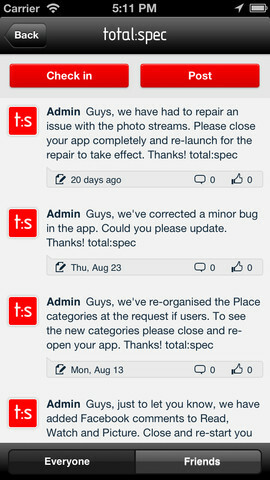 total:specis compatible with iPhone, iPod touch, and iPad. Requires iOS 4.3 or later. This app is optimized for iPhone 5.